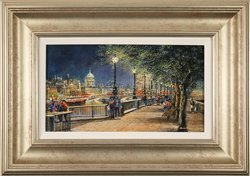 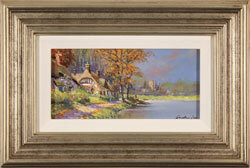 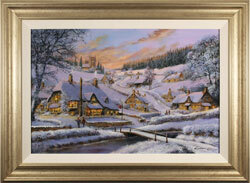 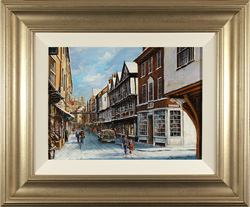 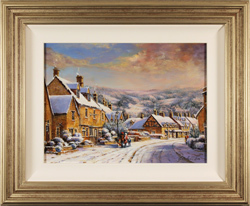 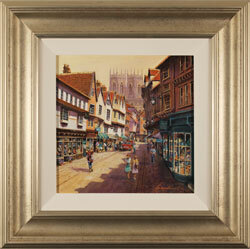 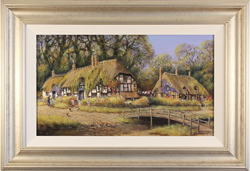 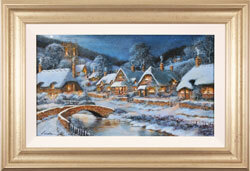 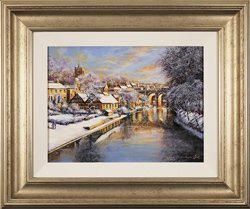 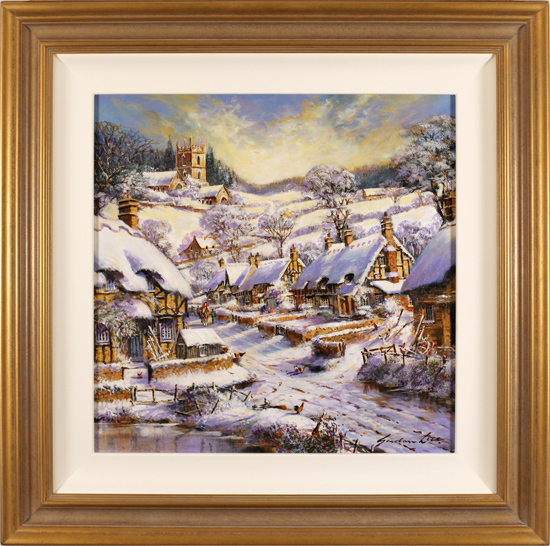 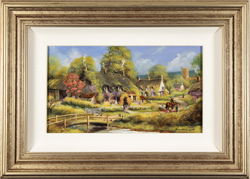 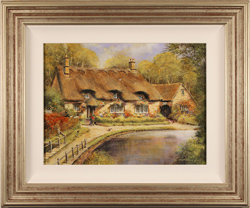 It is thought by many that Gordon Lees' work was the inspiration for the trademark village scenes of Thomas Kinkade, one of America's most prolific artists, who recognised Gordon as 'The Original Master of Light'. 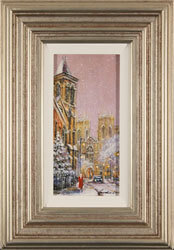 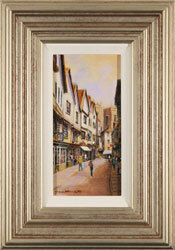 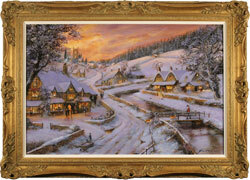 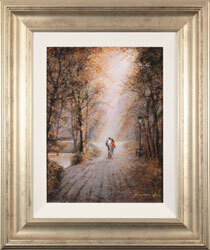 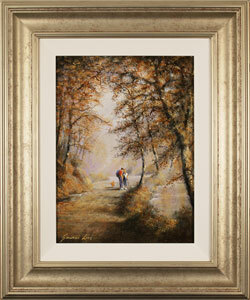 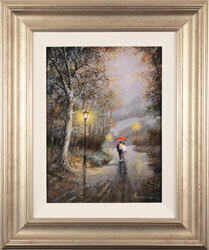 Following Kinkade's recent passing, Gordon Lees' work has shown a surge in transatlantic sales. 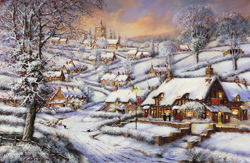 Gordon is a self-taught artist who came late to a career as a full-time artist. 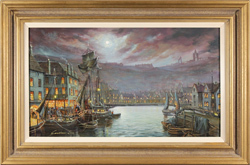 He first had careers in the R.A.F., industry, mining, commerce, and finally, in plastics design where he was a successful industrial stylist. 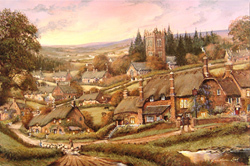 Throughout these years, Gordon painted and exhibited in his spare time. 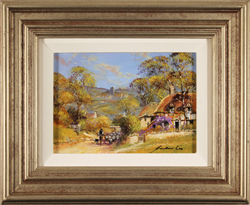 By the mid-1970s the demand for his work was such that he decided to fulfil his lifelong dream of being a full-time artist. 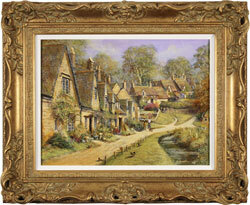 Today he lives and works in the West Country where he draws much inspiration for his nostalgic scenes. 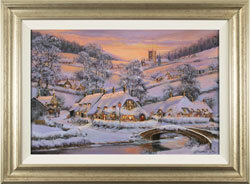 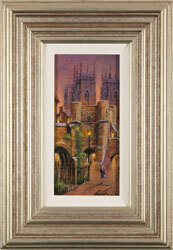 Gordon Lees has done extremely well in establishing himself as a British artist. 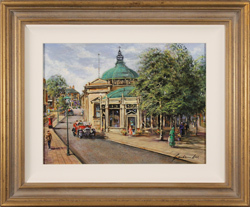 His paintings have been exhibited at the Mall Galleries in London, the Home Counties and many leading galleries throughout the U.K., America and Japan. 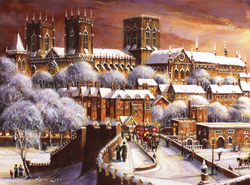 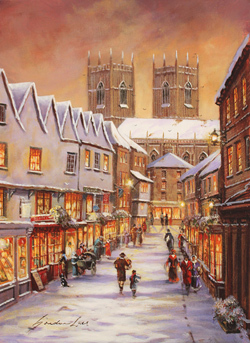 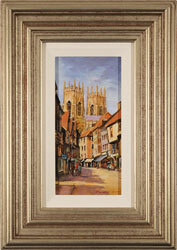 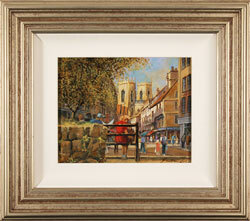 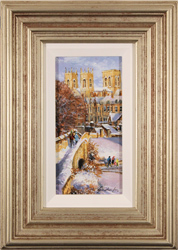 In recent years, Lees’ has also become well-known on greeting cards throughout the country. 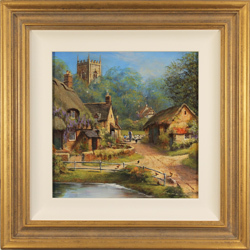 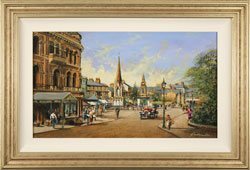 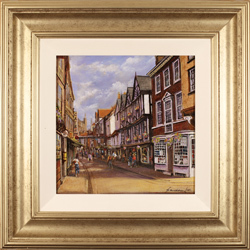 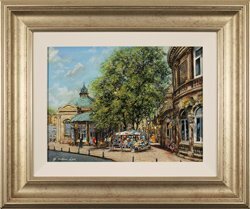 Nostalgically capturing the beauty of British landscapes and towns, the work of Gordon Lees continues to be an international investment favourite. 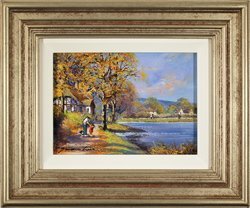 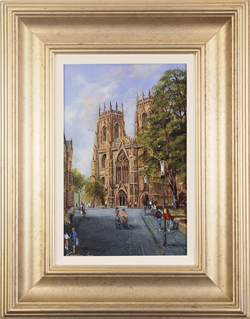 Please note that all Gordon Lees art listed in this section has previously been displayed for sale and is not currently available.